It was wonderful being at Khwisero where one prospective student comes from. 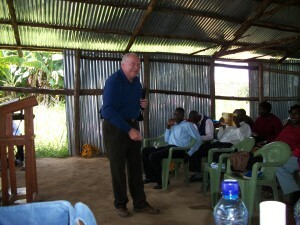 The whole WWTC Team was in attendance and Dr.Clifton preached on transformation and Rev. Steve interpreted. We had a great visitation of the Holy Spirit. Glory to God. wwtc trains ordinary men and women to do extraordinary work for the kingdom. We teach the word of God in simplicity. We welcome you to visit us. We love you ….God loves you and He wants the best for you!!!!!!!!!!!!!!!!!!!!!!!! MT KENYA REGION ON 2nd and 3rd November. Praise Jesus everyone across the world!!!!! I thank God the safe trip to Kagumo and back. The place was very cold but worth the journey. It was exciting moment when I was received by WWTC alumni Bro Nicholus Lilumbi. He is a 2010 graduate. Bro Lilumbi is a respected man of God at Kagumo Teachers Training College and Nyeri County at large. 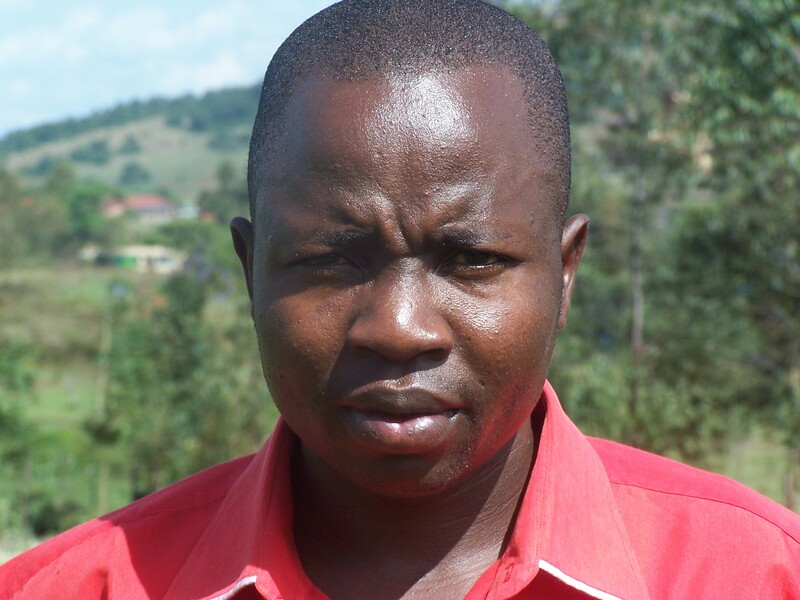 His testimony concerning WWTC is encouraging and as I quote “ I thank God I went to WWTC before join a Kagumo, I didn’t know what why I was at WWTC till I came at Kagumo, that is when everything I learn t became real and God began revealing His purpose for me. Surely WWTC is life transforming a place every child of God needs to be. 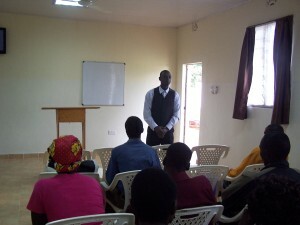 The training I got at the training Centre indeed its for serious people who want to serve God with passion. 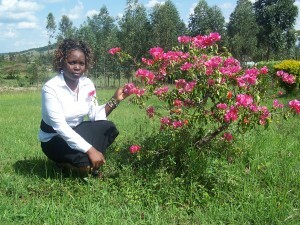 The training has helped me to serve well and stand in place of ministry here at Kagumo. 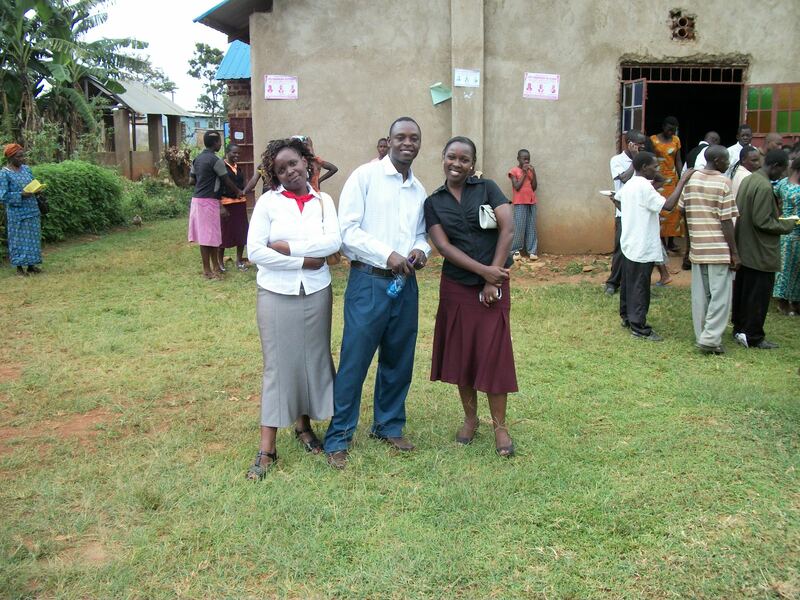 God bless WWTC,” said Lilumbi, students had a high expectations of tapping the word of God. 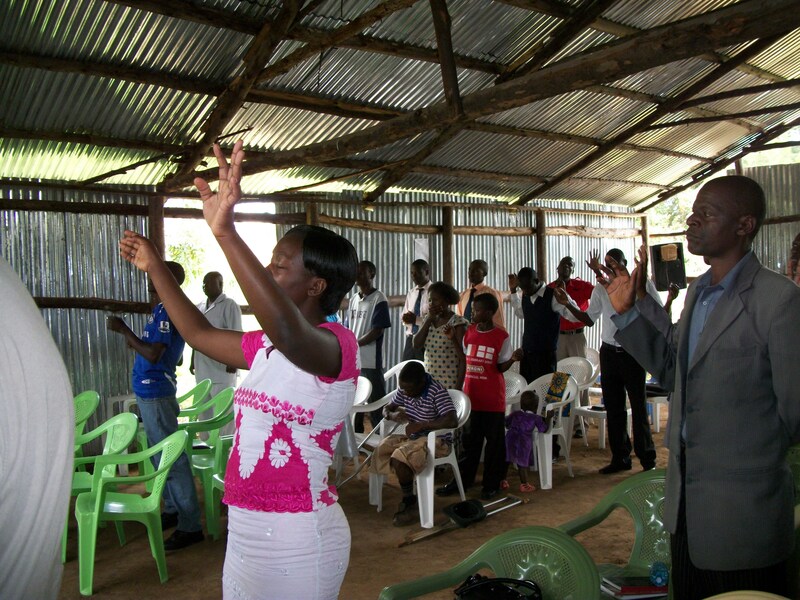 I ministered two sessions of which one soul received Jesus Christ as the lord and savior. It was a great testimony because for almost three years no one has ever received the life of Jesus in Kagumo. I did leadership training for incoming leaders. I bless God for Kagumo and WWTC. God loves you and He wants the best for you. We left Mbale Town on 24th October Oliver and I heading to Lodwar, being send as missionaries by World Witness Training Center. We travelled well even though slowly because the roads are under construction and we had to travel on various diversions. 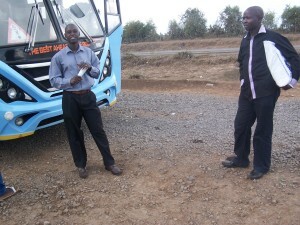 We arrived in Kitale around 3 in the evening and decided to spend the night their. The next day we took a bus called Mvumilivu (which means one that perseveres) and about mid day we were heading to Lodwar for the first time. The journey was very long because most of the road is rough and after twelve hours, around mid night we arrived in Lodwar. We found a place to spend the night and the next day we met with our friend, a pastor in Lodwar Benson Ekuom; he took us round to show us the church building and other ministry activities he does. 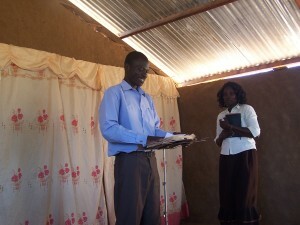 We left Lodwar town to Lokichar and then to katilu where we met with pastor Muchu. We spend the night at his home and the next day (Sunday) We ministered in his church and eleven souls came to the Lord. The next day the Pastor took as round visiting the communities that live in Katilu and we saw people that had many challenges to deal with. Many children their do not go to school but are sent to look after the family cows and goats and most people do not know any other language apart from the local language. Temperatures in that whole region is very high and the water is salty. Thank God for men of God that are enduring every challenge to get the Saving word in those areas. Generally transportation, water and food is a problem in those areas. I believe God is touching many hearts to reach out to Lodwar and its environs. Thanks to God for giving us the opportunity to touch some; our lives have been transformed forever. Looking forward for another trip next year. My trip to Uganda was wonderful. 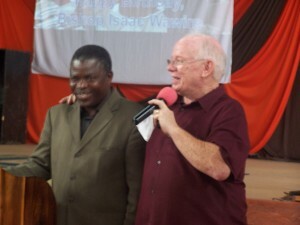 I had a wonderful experience ministering in Kinyara Sugar Company where the Revival Church International is built. 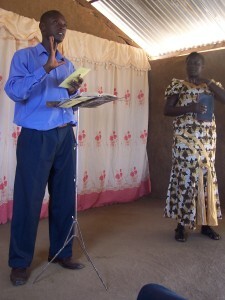 The members began in a house of a widow who later requested the Management to give them a piece of land to build the Church. I see these people train in Leadership, Administration and Spiritual Development, most of them are leaders and workers in the Sugar Company. From 30th October to third November we had a wonderful Women in Ministry Conference. On Wednesday the 30th I had an opportunity to pray with the pupils who were to sit their Primary Seven exams, I taught on the Hebrew boys from the book of Daniel, they were 10 times wiser than the children of the World. I ministered to the Women on Women in Ministry – featuring Phoebe, Romans 16:1-2, Motivation Gifts, Faith in God’s Faithfulness. We also had a Family day on 2nd November where families carried food that was shared among others. It was a time of fun and ministry. We plan to go back as a team, we are praying about this and more so to carry our work books and train the leaders who will then train others. WWTC Day, 7th of November was a wonderful day. It was an open day where we had Pastors and their leaders come to see our next five year goals and pray about it then be a part of what God is doing in WWTC. We had three stations, the first was handled by Bro. Stephen and Bro. Oliver, they talked about our Vision and advertised for the 2014 class which saw some of them registering. The Second was Bro. Ben and Bro. 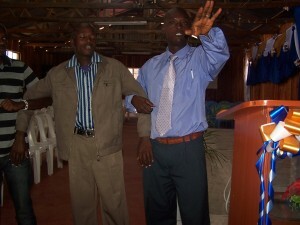 Dennis, Bro Ben briefly taught on the Man in Three Dimensions while Bro. 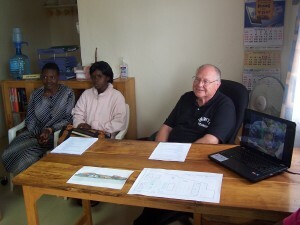 Dennis showed them an overview of Windows 8 on the Computers. The third was Sis. Josephine and Sis. Judith, Sis. 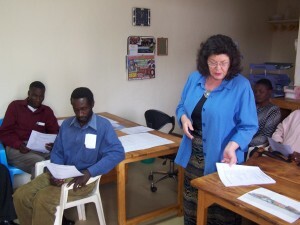 Josephine talked about the Continuing Education Seminar and invited them for our December Seminar. Sis. Judith talked about the Alumni Benefits and Constitution. 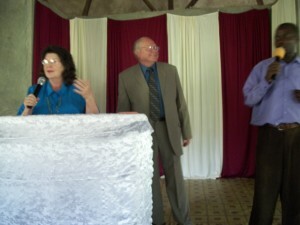 The fourth were the Founders of WWTC, Br. Clifton and Sis. Leta who then took our guests through our accomplishments and the next Five Year Goal Plan. WWTC Day, 2013 was very successful. Rev. Leta teaching on “Guarding Your Heart” with Rev. Steve interpreting. Rev. 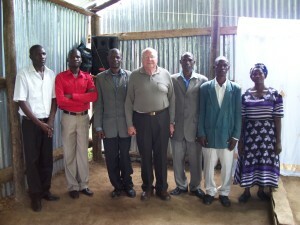 Clifton with the Pastors attending the conference. 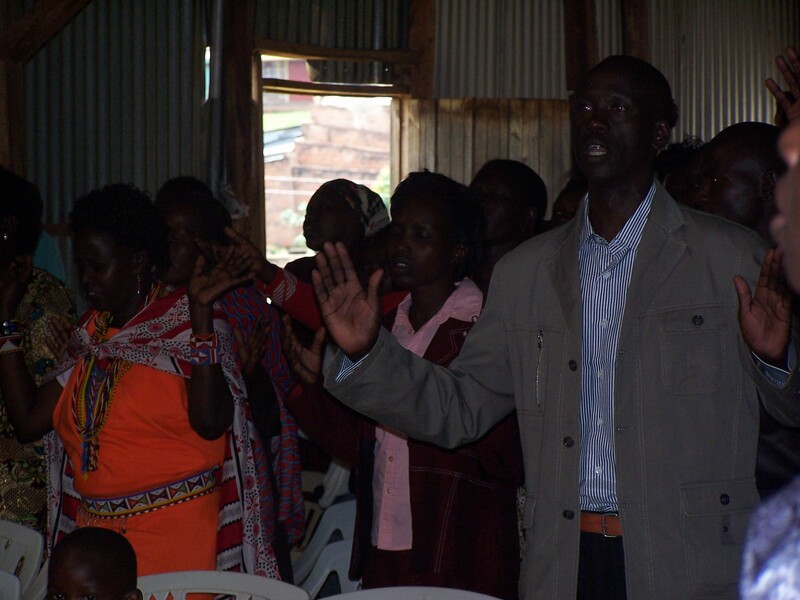 Conference attendees during praise and worship. The McDowells along with WWTC staff member Rev. Steven Auchi conducted a leadership conference in October, 2013 at Bungoma, Kenya hosted by Pastor Charles of Hallelujah Church. Many local pastors were in attendance along with church leaders and a group of students from the local university Christian Union. One of those students is a 2011 alumnus of WWTC. The theme of the conference was Heart Transformation. Rev. Steve taught “Living from Your Heart” in the first Saturday session. Rev. 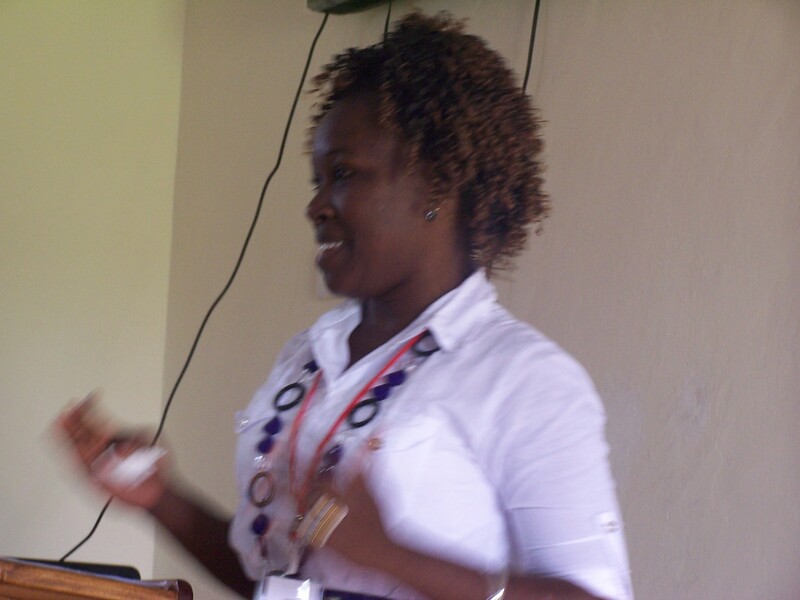 Leta taught on “Guarding Your Heart” in the second Saturday session. During praise and worship in between sessions there was an awesome presence of the Holy Spirit. Rev. Clifton taught on “Moving Forward Through a Transformed Heart” in the third Saturday session. 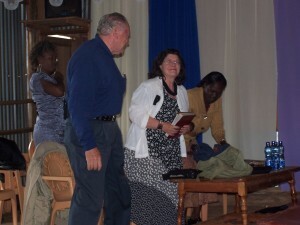 The team stayed over to minister in the regular Sunday services. Rev. 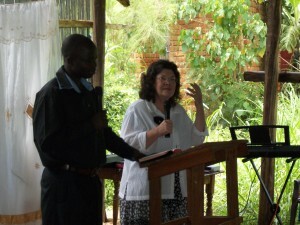 Leta taught on “The Law of Faith” with Rev. Steve interpreting for her. Rev. Clifton taught on “The 4th Man in the Fire.” All those needing prayer were prayed for. There was a great outpouring of the Holy Spirit and many were healed and delivered as hands were laid on them. The Holy Spirit is moving in Bungoma and the people there are hungry for the Word of God! It was an awesome time for everyone. The Holy Spirit was able to accomplish much and lives were changed for His glory! Praise the Lord! In life we walk on separate roads but we have a golden bridge called ‘prayer’ that links our lives together. Today, I lift up my hands saying, may our Almighty God protect World Witness Training Centre, may He grant us good health, bless us with happy lives and answer our deepest, earnest and heartfelt prayers. May God mark the family of WWTC for greatness, tick it for honor, note it for blessing, name it for favor and raise WWTC family for wonders until we all walk in His abundance of grace. Welcome and register yourselves for the 2014 class. Space is limited. Contact us for registration. The trip to Maasai was worth the journey. WWTC team had a weekend of Word Explosion in Kilgoris, Transmara County. 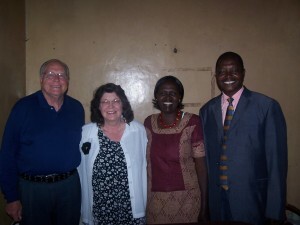 We were hosted by Bishop Paul who is the Transmara Bishop of the Word of Faith Ministries. 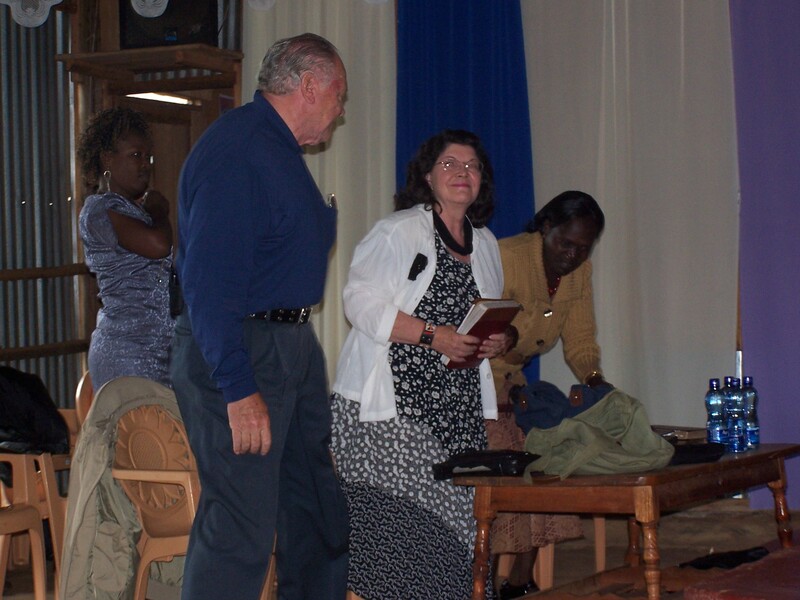 The theme of the Conference was “Moving Forward”, this was after Bishop Paul had preached on “Forgetting the Past” the Sunday of 16th September 2013. 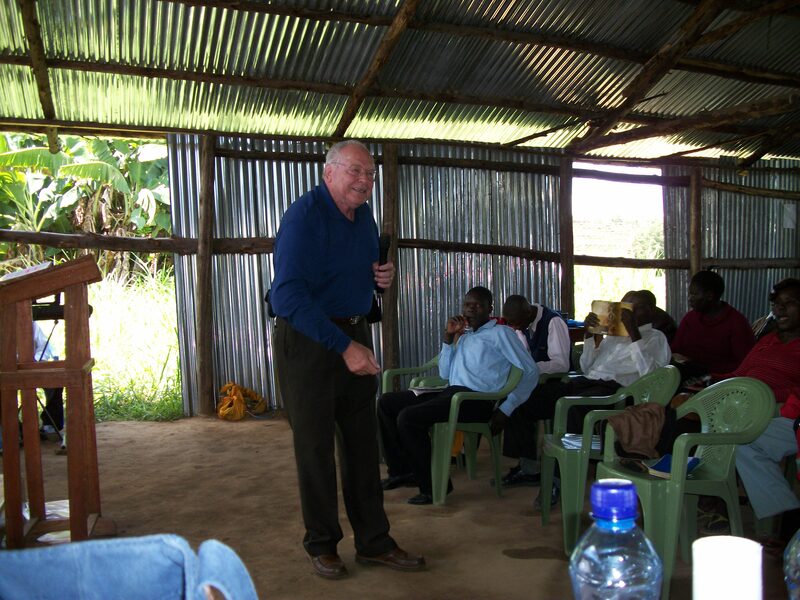 Dr. Clifton began by sharing on “Transformation” this was day one when we just arrived in Kilgoris, during the evening meeting. Sister Judith was to minister in the night meeting but there was no power so we called it a day till the following Morning. Sister Judith then began on 21st by teaching on “Success in Minisry”, Dr. Leta then taught on Vision and Dr. Clifton then shared on “Leadership Perspective”, Pastor Elijah Wawire who helped us to drive then shared in the night meeting on “Moving on with the Lord”. Sunday was very powerful Dr. Leta shared on “The Law of Faith” Faith was stirred up in the lives of people, this was the first service. Dr. Clifton then shared on “Forward Thinking”. This was a very powerful weekend full of the visitation of the Lord. We also shared bout WWTC and are trusting the Lord for so many people to be trained from Maasai,to go back and impact their community. 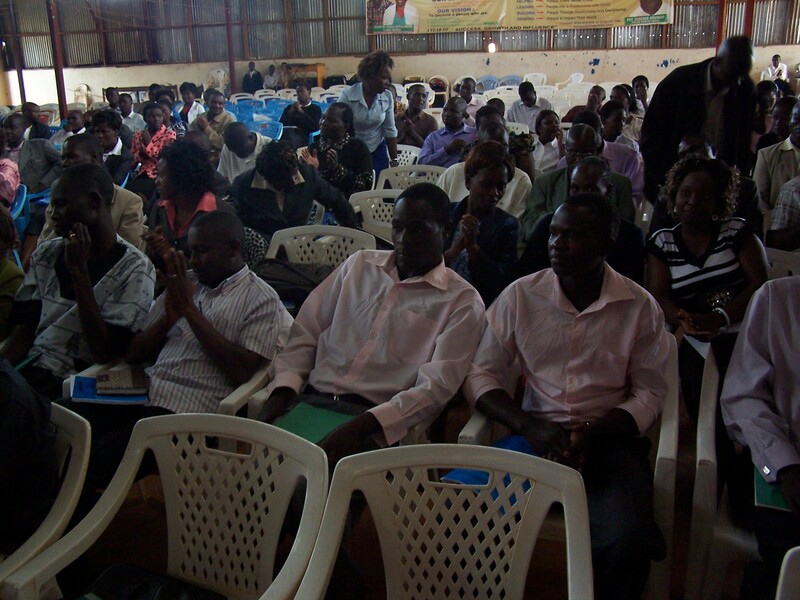 From Monday the 16th to Wednesday the 18th September 2013, WWTC Staff have been attending the Great Commission Conference at Praise Centre Mbale. Rev. Ken and Sharon Womack from Mission Catalyst International, USA were our guest speakers together with Pastor Moses and his wife from Kampala, Uganda. The Conference was about Finishing the Great Commission. This conference was about, how one and his/her Church can help complete the Great Commission and impact the World in the process. 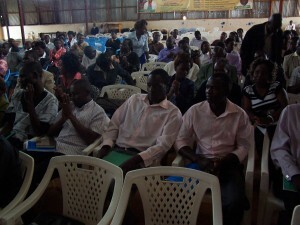 Two hundred leaders and Pastors were in attendance. Bishop Wawire then gave and assignment to WWTC Staff and we are working on it and next week we will put each one of the answers on the blog. All Alumni can also do the assignment as your personal evaluation as far as the great commission is concerned. We plan to incorporate what we learnt in our Evangelism classes and Alumni Home Coming Conferences.